Coconut Oil has some amazing medicinal properties. It has anti-viral, anti-fungal, and anti-microbial properties. 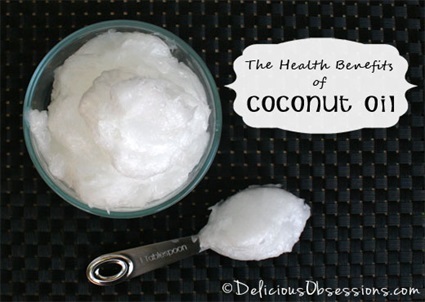 Kristina of The Provision Room site shares her top 5 ways to use coconut oil. She also shares little recipes for each use. Click the link below to see how Kristina uses Coconut Oil. Click on the Top 5 Ways to Use Coconut Oil link below to read Kristina’s article.